Word-of-mouth marketing, often called WOMM by those in the business or marketing world, is one of the most effective ways of marketing a brand, a business, or a product. Referring to spreading the word via conversation amongst consumers, word-of-mouth marketing is different from traditional marketing in that it is usually more naturally occurring, and can have a much broader and significant effect. One of the biggest benefits of WOMM is that in its most basic sense, it’s free advertising – a consumer talking to a consumer about a product doesn’t cost the business a dime. However, for truly successful WOMM to occur, a comprehensive strategy is often employed to kickstart conversations. This strategy often includes a content marketing strategy, SEO strategy, ad campaign, and more to increase WOMM frequency and control what it is consumers are talking about. The second biggest benefit of WOMM is that, unlike paid advertising, recommendations about a product that are made via word-of-mouth are much more highly valued. In a 2013 report published by Nielsen, it was discovered that WOMM “recommendations from friends and family, often referred to as earned advertising, are still the most influential” type of recommendations/advertising. What’s more, 84 percent of consumers stated that they believed information from friends and family about a product to be the most trusted source of information. In other words, if a business can employ a great WOMM campaign, then it’s more likely that the business will see an influx in consumers, leads and conversions, and profits. Unlike other marketing strategies that require continuous time, money, and work to further and maintain, word-of-mouth marketing is a self-sustaining marketing approach that offers a long-term value. Those who love a business or product are bound to talk about that business and product, and to keep talking about the business or product as long as they continue to remain customers. And because those customer talk to other potential customers who then talk to other potential customers, the effects of WOMM are slow to fade. For a business, this means a marketing strategy that isn’t just low-cost and highly valued, but also one that creates a very important long-term relationship with customers, too. For those who are hoping to implement a WOMM campaign that will make a mark, doing so can be relatively easy in comparison to other types of marketing campaigns. Because word-of-mouth is all about getting consumers to talk to one another, the beginnings of a WOMM campaign can be as significant as a million-dollar advertising campaign, or as simple as a Tweet or a post on another social media network. When thinking about beginning a WOMM campaign, engaging the consumer is the most important part. 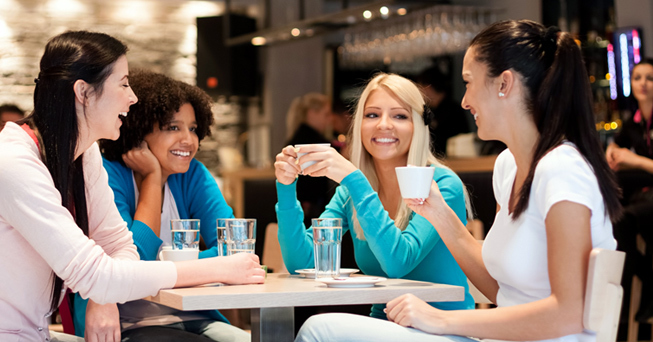 Word-of-mouth marketing is an absolute must for businesses today. While the way that consumers talk has changed (online social media sites vs. telephone conversations), the fact that consumers talk about businesses hasn’t.